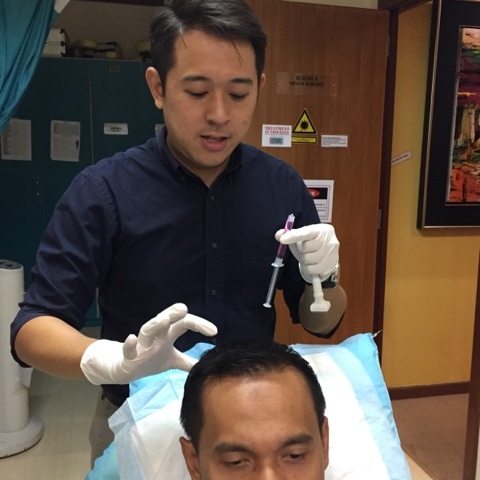 For those whose scalp hair is thinning , one of the treatment modalities is to infuse the scalp area with hair-specific micronutrients or hair vitamins. Even better if the micronutrients can be given along with growth factors. 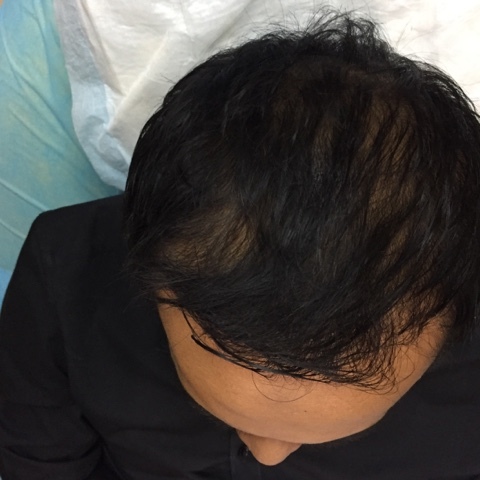 The best type of growth factors of course are human growth factors or hGF as the scalp skin will receive it well and the hair follicles will recognize the cells. In or to get hGF, it has been popular to use PRP which is acquired from the patient's own blood. But sometimes, it is difficult to get enough PRP fr patient due to difficult intravenous access, or patient just do not want to have a venepuncture done. So another source of hGF is now available . Acquired fr the foreskin of circumcised babies, this hGF is formulated for hair regrow th, skin Rejuvrnation and vaginal Rejuvrnation. 1. The Dermastamp is prepared. 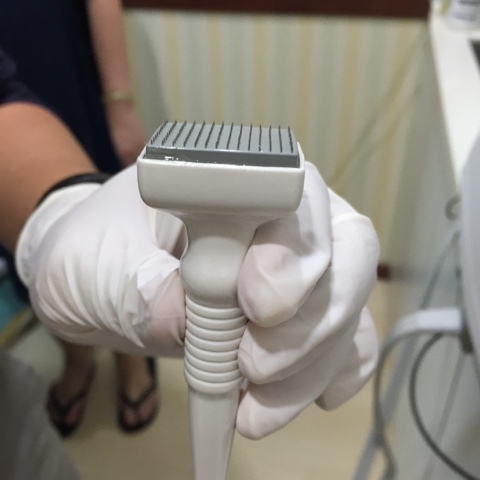 Dermastamp is a device that has fine needles of different lengths on it's surface which then used to "stamp" the scalp skin. 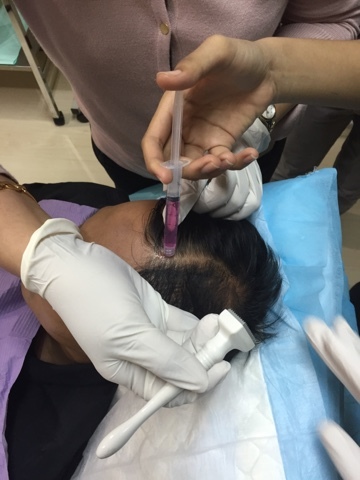 For the scalp skin, the 0.8mm needles is used. 4. 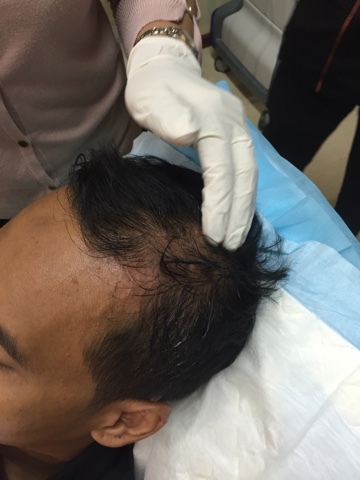 The stamping is begun along the hairline and on the skin where the hair is separated. A 50% overlap is done. 5. The hGF solution is then applied a little bit at a time immediately into the "stamped" area. A firm rubbing or massaging of the area is done immediately after to ensure absorption and no dripping of excess fluid. The protocol is weekly session for 10weeks. 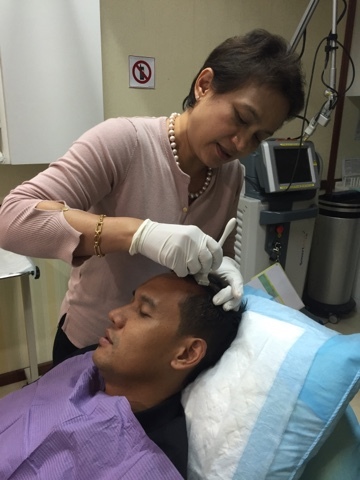 There is a lot of science behind growth factor stimulation for skin and with this available there is less pain and a lot more convenience for the patient.